You can contact our Pension team. Please note however, that we are not able to give specific financial advice to you. Pension Wise is a free and impartial Government service, which offers pensions guidance to help you understand your options. Guidance can be taken online, by telephone, or face to face. You can book a face to face appointment online or by telephone. If you haven’t yet done so, we strongly recommend that you consult this free guidance service, Pension Wise, who may be able to help you in reaching your decision. You may also choose to seek professional advice from a financial adviser, authorised by the Financial Conduct Authority, who specialises in retirement planning. Please be aware that financial advisers may charge for their services. You should ensure that any adviser you approach is authorised by the Financial Conduct Authority. 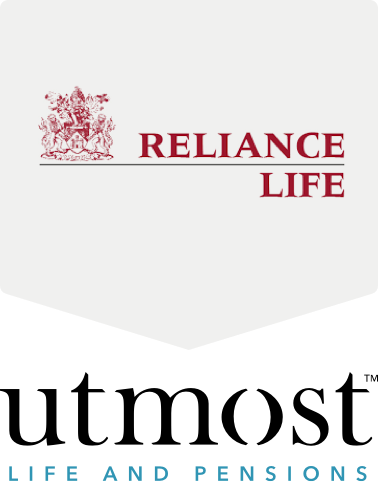 On 4 March 2019 Reliance Life re-branded as Utmost Life and Pensions.